One of the best ways to improve at chess is by recognizing your own shortcomings and limitations. 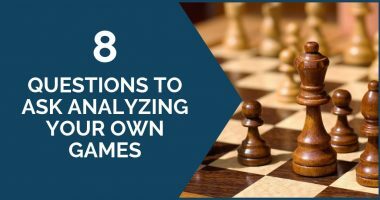 It is no secret that the analysis of your own games is a great source of improvement, a fountain of chess knowledge. Even though this praxis has been recommended for centuries by every world champion and other notorious players, to this day we can say it is not that popular. With the introduction of chess engines, one would think that this process has become easier, but in fact, it’s totally the opposite. Club players turn on the engine and see their mistakes explained as numbers (evaluation) and moves, without understanding the cause of them or the nature of the positions they are analyzing. For example, “white is better because the computer says plus 1”; totally useless if we turn the engine off and there is plenty of game ahead. 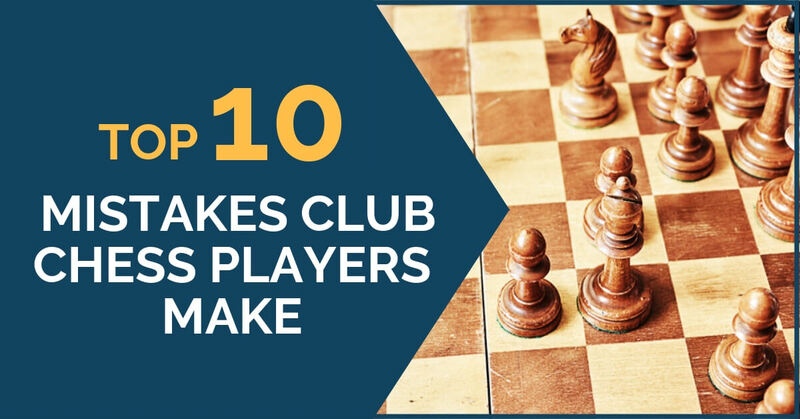 In this article we are going to talk about mistakes; what are the most common mistakes among club players? It is not the same for everybody, of course, but there is a pattern and we can summarize a list. Here is what we consider to be the top 10 mistakes among aficionados. The calculation is one of the most difficult skills to develop for every chess player. No matter the level, it takes constant training and practice. An oversight when calculating long variations is a common mistake among club players. One remedy could be to avoid calculating long variations; keep it simple and be practical. Support your moves with the sound positional basis and only engage in complicated variations if there is no other way out. This one is basic. It is very common to see the bad exchanges of pieces in an aficionado’s games. The lack of correct judgment in the resulting positions is what needs to be improved. 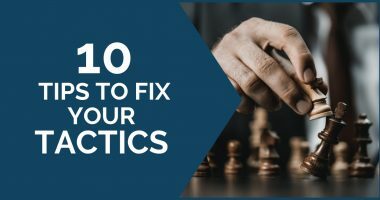 Pay attention if your trades help your opponent, by a positive modification of the pawn structure or the activation of his pieces for example. Pay attention, not to the pieces that leave the board, but the ones that remain. Club players can present a stubborn fight against stronger players but the moment of collapse comes when the time starts running out. 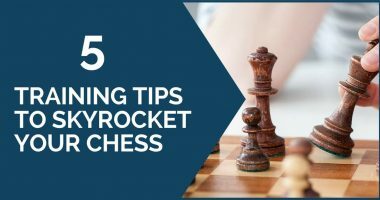 If you are thinking moves more than 15 minutes you probably are going to make a mistake, and even if you don’t then it won’t matter because the game goes on you will have a considerable lack of time for deep thinking at the most crucial moments. One would think that the most common mistake for a club player is the lack of sense of danger or not paying attention to the opponent’s threats. To some point this is correct; however, in my experience, I have found that the opposite is more common and possibly more damaging to their play. Club players often get too scared (in the best sense of the word) when facing a threat – on the king or elsewhere, it doesn’t matter. As a result, they panic and try to stop the opponent’s plans at all cost and more often than not the price they pay is too high. For example, unnecessary weakening the position, executing a bad trade, adopting a defensive position. The more experienced players easily profit from these mistakes. Before you fear a threat and panic, make sure that this threat is real. Then look for ways to prevent it or deal with it, but do not surrender other elements of your position. In the desire for less study and quick results club players are most prompted to play offbeat openings to “trick the opponent”. Reality shows that usually they get tricked themselves and give simple advantages to the opponent. Our advice is that you don’t necessarily need to follow the main lines of the day, but stay within the classic healthy chess. Dubious openings are for strong players who can make it work by profiting a chance (tactically, let’s say) in the middle game. It happens. John Nunn was so right when he wrote the famous L.P.D.O which stands for “loose pieces drop off”. Pay attention to your unprotected pieces and don’t leave anything exposed. They can become a target of tactical blows. Attacking needs building up and reasons for it. If your opponent hasn’t done anything terribly wrong like keeping the king in the center, playing too many pawns moves, etc., then it is highly possible that a direct attack is not the way to proceed. You have to wait for weaknesses to appear or create them. In other words, your attack must be justified. In most games, there is tension between pawns. The pawn captures (and moves!) are of major significance. They can literally change the character of the game. The guide says that when there is tension on the board you should maneuver with your pieces, find the best squares and define the tension whenever this is favorable to you. Club players don’t normally keep the tension for too long, they like to have things clear as soon as possible, but the problem with this is that very often releasing the central tension too early benefits the adversary. This one sounds basic but it’s highly important. People often forget to include all the pieces in the attack, even where it’s simple. Before taking any active actions, see if you can bring as many forces as possible. At early levels, one does not really realize the importance of pawn moves. It’s not something to take lightly, it is the most permanent decision since pawns can’t move back. A wrong pawn advance can create weaknesses and have a negative impact on your position. We hope you have enjoyed reading our list. Thank you and don’t forget to give us some feedback with your thoughts.